In a small bowl, to make the dressing, mix the extra virgin olive oil, vinegar, salt and pepper. You can adjust the amount according to taste. 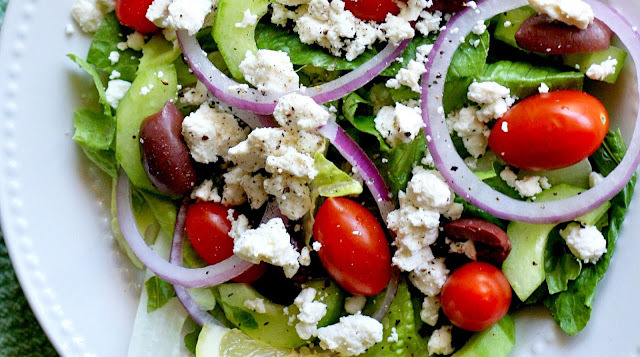 In a salad serving bowl, mix the lettuce, cucumber, olives, tomatoes, onions, feta, lemon zest and dried oregano. Mix with the dressing when ready to serve.